The presence of a true ‪#‎master‬ can awaken the ‪#‎kundalini‬. And then by the practice of ‪#‎Kriya_Yoga‬, it may ‪#‎ascend‬. Come and experience the healing and bliss of Gurunath as thousands before have done. The Hamsa Yoga New Life Awakening retreats are very special events, unlike any other retreats you have attended. During these Retreats, you will learn very powerful and potent yoga meditation methods which lead you to self-mastery & enlightenment, continuously receive healing transmission of Shaktipat energy (Kundalini energy) from the Master, and get a boast to your spiritual progress by Shivapat (when he shares his Samadhi – Enlightened Soul Consciousness), which will speed up the evolution of your soul. These experiential New Life Awakening Retreats are perfect opportunities to recharge yourself and make significant progress in your spiritual practice. 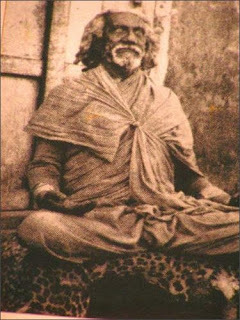 Each Retreat gives your true Self a period of spiritual renewal, quiet reflection, and further teachings from our beloved Yogiraj.